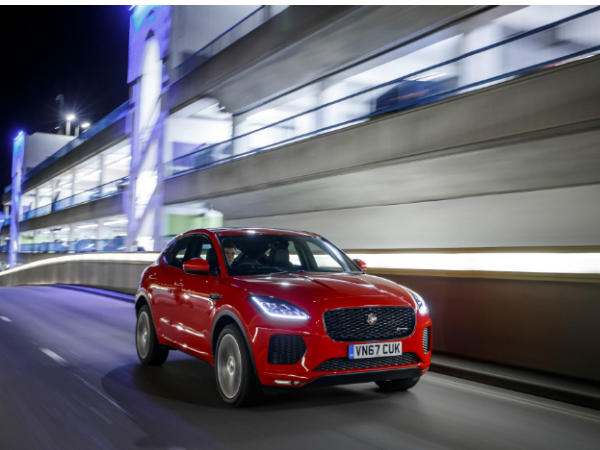 The new Jaguar E-PACE has achieved a five-star Euro NCAP rating that confirms the hotly anticipated vehicle as among the safest on the market. Jaguar’s first compact SUV keeps everyone safe with high scores of 86% for adult occupant protection, 87% for child occupant protection and 77% for pedestrian protection. The E-PACE scored maximum points in the side barrier, as well as in the side and the frontal offset tests for child occupants. In the pedestrian tests, E-PACE scored highly, particularly for the protection of a pedestrian’s head in the event of a collision. E-PACE features a comprehensive suite of standard safety systems, including Emergency Braking with Pedestrian Detection. The advanced technology is able to detect a collision risk with cars or pedestrians in the road ahead and automatically apply the brakes. By pairing advanced crash protection with active safety systems, E-PACE helps prevent accidents while providing superior passenger safety in the event of a collision. Blind Spot Assist: alerts the driver to vehicles in, or fast approaching, the blind spot with a flashing warning light and will guide the car safely away if the vehicle begins to change lanes. EVENTS & CAMPAIGNS - Would you like to see JLR Events information on the TeamTalk website?